Here is my annual preschool Halloween books and movies post! Some repeats here as they are always good classics! I always buy 1-2 additional Halloween books every year, I just love this season. And we are all ready for that fall season with Pumpkin spiced everything and cooler weather! Dallas is still a hot 95 degrees, so I am burning my Leaves candle to help at least make it smell like fall is here. Five little pumpkins sitting on a gate. The first one said, "Oh my, it's getting late." Get ready for some wicked fun as these five pumpkins run and roll! My children have loved this sweet rhyming book the past few years and love that it's a board book. My preschooler loves this book! It has lift the flaps in it too and she loves all of the different halloween characters. 3) We love the If You Give A Mouse book series, and haven't read this one yet, but plan on ordering it! My preschooler and toddler will love reading this one. It's Pumpkin Day, Mouse! 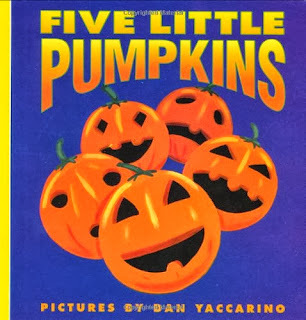 (If You Give...) ($6.12 Board Book) The mouse decorates all of the pumpkins in the pumpkin patch with different faces. This one is close to our hearts because we used to have a little Dachshund at our home and tells a great Halloween story, kind of like the Ugly Duckling. 'Twas the night before Halloween, and all through the house, All the creatures were stirring, except for the mouse. The monsters had gathered to plan and prepare, For the trick-or-treaters who soon would be there?." 7) Doc McStuffins Boo to You! (7$) This one is a touch and feel book and my 5 and 3 year old love this episode on TV and also enjoy this book too! And it's a great board book to take in the car and not worry about it getting torn up. 8) And one more for the preschool and school aged kids: Room on the Broom (6.29$). We love this book at our house and there is an App on the iPhone too that's super fun and cute. 9) Pinkalicious Pink or Treat (3.99$) Pinkalicious: Pink or Treat! My girls love reading about how Pinkalicious saves Halloween in her hometown. 10) The Berenstain Bears Trick or Treat (3.38$). A story about trick or treating at the old scary house that turns out to be a lesson on 'appearances can be deceiving!' I grew up on the Berenstain Bears and love this one. Halloween season isn't complete until they've seen a few Halloween cartoon specials and movies. Don't forget to DVR some of the ones coming up for free, and the Disney Jr episodes like the Halloween Doc McStuffins, Jake and the Pirates and Sofia's Ghoul episode. 1)Spookley the Square Pumpkin ($9.98) About a square pumpkin who is different and feels left out, but then saves the day after a storm hits the pumpkin patch! 4) Thomas Halloween. Need I say more if you have a preschooler who loves trains? So there you have it. My picks for your little ones this Halloween. Have fun getting in the spirit and Happy Halloween!